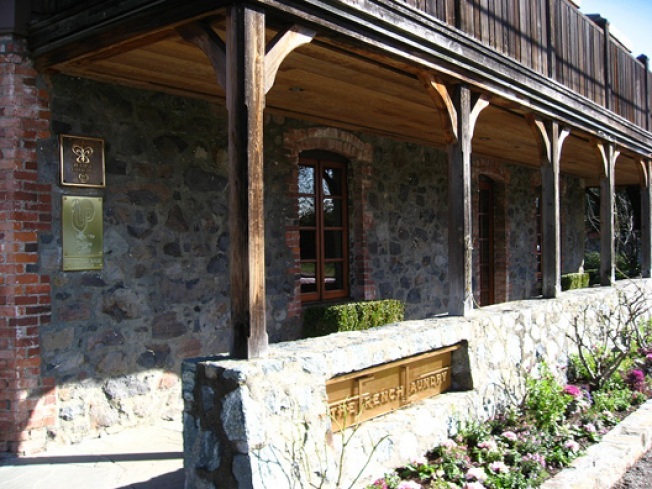 For a special Yuletide treat, Santa Bauer revisits the French Laundry today. Thomas Keller's lauded flagship hasn't been re-reviewed in about four years, and with Timothy Hollingsworth recently stepping into the chef de cuisine role of the departed Corey Lee, it's a good excuse for an update. Yet because of the whimsy that's incorporated into each dish and the countenance of the finely tuned staff, it never feels pretentious and stuffy... No corners are cut in the selection of ingredients, some of which come from the manicured gardens across the street, in the precise and exacting preparations or in the surroundings. THE ELSEWHERE: Matthew Stafford also pens the EBX review this week at the new Marzano in Oakland, the MIJ's Tanya Henry is at San Rafael's Cafe Trio, the PressDem checks out Sebastopol's French Garden, the Merc checked out Quince earlier this week, and the Bauer Sunday offering had just 1.5 stars for Hubert Keller's Burger Bar.